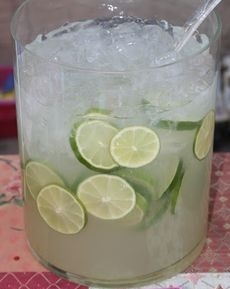 With or without alcohol, a delicious easy punch recipe is a great way to keep a group happy throughout a get-together. An attractive punch bowl or pitcher and cups or glasses will highlight your entertainment efforts. Enjoy your easy party punch recipe and the company of those you share it with! 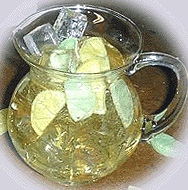 There are additional non-alcoholic restaurant drink recipes on the website. Did you know? 7 Up was invented in October 1929 by Charles Leiper Grigg, a man who ten years earlier had formulated a carbonated orange-flavored drink ("Whistle") working for an employer with whom he later had a falling out.